From the Potomac: A Distinguished Speaker? 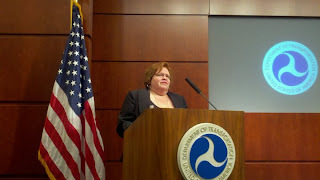 Last week I gave a speech to about 80 people at the U.S. Department of Transportation. I was invited as a “distinguished speaker” to honor National Women’s History Month. My charge was to talk about my career and give the audience insights about how to navigate the many shoals that one encounters over a long career. Although I give talks to many groups, I’m not used to – or particularly comfortable with – talking about myself. So, this was a real challenge for me. 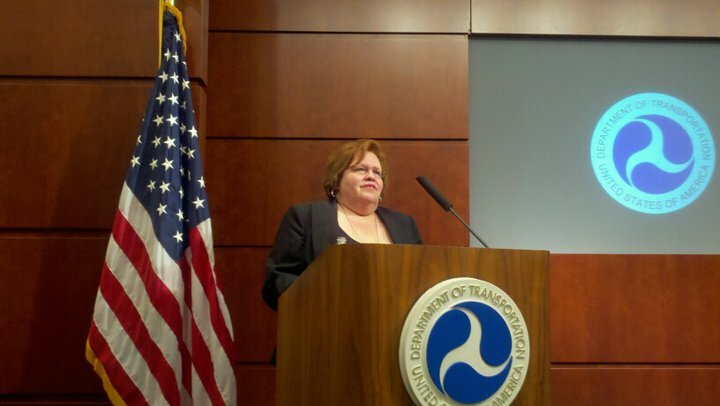 Camille Hazeur, Director of the Office of Civil Rights for U.S. Department of Transportation, gave me the advice that I give clients – tell stories. And so I did. I talked about the six women who were managers and professionals in 1973 at Westinghouse’s 23-story headquarters building … about the company’s all-female financial communications team in 1997 (we spanned legal, finance, investor relations and PR, and we all were #2s in our organizations) … and on to the C-level women that we support today in our client relationships. Yes, the world has changed. I told of some of the ethical challenges I encountered … how I almost took the wrong job (one in administration) because it was a two-step jump in grade and salary ... the day I met the executive who became my mentor, and how I insulted him by asking if he had ever thought of getting help with his presentations. (He soon asked for help.) These stories and many, many more. I spoke for about 20 minutes and took questions for the rest of the hour. Camille tells me that her office has gotten many emails and phone calls of appreciation for my little talk. The feedback is nice, and I had a lot of fun meeting so many great folks from all the branches of DOT. So what have I learned over the decades of my career? In a nutshell … Make friends. You’ll need them. Avoid making enemies. Find a great mentor, who you believe in and who believes in you. Know what you really want to do/be and don’t get distracted. Do the right thing. This isn’t always easy, but it’s really important. Speak truth to power. There’s a way to do this tactfully. Most executives know that they’re insulated, so they appreciate it. Hard work pays off – in two ways: what you learn, what your management sees. Let management and opinion leaders know what you’re doing and the results you’re delivering. And what did I learn about communications? We give good advice to our clients. If you tell stories about real people, you’ll engage an audience. Finally, I learned something interesting about DOT. (Actually there are many interesting things about DOT – the FAA, Maritime Administration, Railroad Administration, etc.) The Maritime Administration is the owner of the Nuclear Ship Savannah, a national historic landmark in Baltimore,which is being decommissioned. So you see, there are nuclear reactors and nuclear experts in the most unexpected places.